Weymouth Angling Centre. 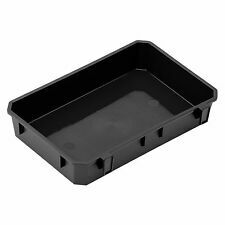 Shakespeare Seat Box Tray - Black. All new design to fit the Shakespeare Seatbox. Ideal for tackle or bait. Handy side tray. Available in Black or Blue. Will also fit the old Beta, Team and similar style boxes. Un cuscino progettato per la scatola di Seat di Shakespeare. CUSCINO PANIERE. Gestito da:anglerscorner_uk. Importa Internazionale oneri / Doveri Immagini per il solo scopo illustrativo. Si prega di notare. Shakespeare Agility Rise River Bag. D Ring for landing net. Adjustable carry strap. made with love by. 2 x Outer pockets 22x18cm. D Ring for landing net. Front Priest Pocket. Adjustable carry strap. made with love by. 2 x External pockets (22x20cm). Shakespeare l'agilità EXP cintura borsa / pesca bagagli. Agility EXP Belt Bag. Aggiungete a ciò la cintura di bit che può essere utilizzata anche quando guadare e avete un altro classico aggiunta alla famiglia Shakespeare agilità. Agility Rise River Bag. - Made from 600x300D waterproof material and leather trim. Maintained by:anglerscorner_uk. D ring for landing net. - Front priest pocket. Images for illustration purposes only. Maintained by:anglerscorner_uk. - 2 x external pockets (22x20cm). - Adjustable carry strap. - Waterproof 600x300D Material. Sigma Carryall. The carry strap is padded and adjustable and also has 2 strong comfortable carry handles. Other details Images for illustration purposes only. Padded adjustable shoulder strap. Outer net pocket. Breakaway Tackle. Backrest and harness for new Shakespeare box as the lid is deeper on this box the original Backrest wont allow the lid to open fully. Now with the longer brackets this one will allow the lid to open. A padded strap designed for the Shakespeare Seat Box. Seat Box Padded Strap. Maintained by:anglerscorner_uk. Sigma Pocket Bag. 1 x outer pocket. Adjustable carry strap. made with love by. 2 x internal pockets. Agility Rucksack. A practical rucksack with waterproof PVC backing. designed to be big enough to carry all the gear required, it's also comfortable to carry. Other details Images for illustration purposes only. Borsa da pesca Shakespeare Sigma tasca / trota Bag│Waterproof│1315273│Green. MPN 1315273. Sigma di Shakespeare pesca borsa da tasca - verde. 1 x tasca esterna. Anteriore tasca con zip maglia cinturino. Shakespeare Agility Rise Bag. D Ring for landing net. Large Outer pocket 30x24cm. Adjustable carry strap. made with love by. Gestito da:anglerscorner_uk. SE TI PIACE LA MIA ROBA MI AGGIUNGI AL TUOelenco dei preferiti! Importa Internazionale oneri / Doveri Immagini per il solo scopo illustrativo. Si prega di notare - 2 tasche interne in rete. Agility Rise Brook Bag. - Supplied with bass bag. - Padded adjustable carry strap. - 2 x Front Pockets (18x20cm). - Waterproof 600x300D Material. DAMILTECH TRAY TOPPA. for tronixpro and original Shakespeare boxes. The Lid Lifter Kits can be fitted as a single unit or as a pair as shown in the photo. La borsa di trota di Shakespeare Sigma fornisce grande qualità e funzionalità ad un prezzo competitivo. 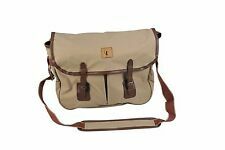 Sigma Trout Bag. Anello a D per guadino. Importa Internazionale oneri / Doveri 1 x Pocket interna. 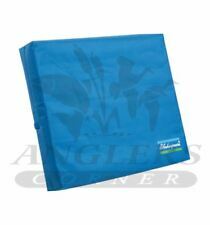 The Shakespeare Sigma Trout Bag provides great quality and features at a competitive price. Sigma Trout Bag. D ring for landing Net. 1 x internal pocket. 1 x front clip. Adjustable carry strap. Waterproof 600x300D Material. ::: Procast angling :: - D ring for landing net. - Front priest pocket. - Adjustable carry strap. We're rated 5/5 for service! Dedicated Support. We're here to help whenever you need us. As described. Scatola di Seat di Shakespeare cinturino imbottito / accessori per sedersi / pesca. Una tracolla imbottita, progettato per la scatola di Seat di Shakespeare. Sede scatola cinghia imbottita. Gestito da:anglerscorner_uk. La borsa di trota di Shakespeare Sigma fornisce grande qualità e funzionalità ad un prezzo competitivo. 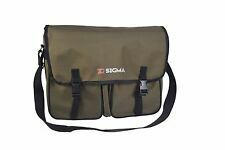 Sigma Trout Bag. Gestito da:anglerscorner_uk. Link Utili. SE TI PIACE LA MIA ROBA MI AGGIUNGI AL TUOelenco dei preferiti! Borsa refrigerante di Shakespeare agilità / pesca bagagli. SE TI PIACE LA MIA ROBA MI AGGIUNGI AL TUOelenco dei preferiti! Importa Internazionale oneri / Doveri Immagini per il solo scopo illustrativo. Also great for creating a padded seating area on boats were the spray wont affect the seat. 5cm foam filling in seat. Ideal edition to anyones box when fishing them long session giving you extra support and comfort with its 5cm form filling. Agilità di Shakespeare gioco borsa / trota pesca bagagli. MPN 011880. Marche popolari. Link Utili. SE TI PIACE LA MIA ROBA MI AGGIUNGI AL TUOelenco dei preferiti! Importa Internazionale oneri / Doveri. 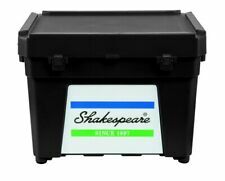 Shakespeare Seat Box Tacklebox / accessori per sedersi / pesca. Seat Box Tacklebox. Un Tacklebox progettato per la scatola di Seat di Shakespeare. Gestito da:anglerscorner_uk. Importa Internazionale oneri / Doveri. Sigma di Shakespeare gioco borsa / pesca bagagli. Sigma gioco Bag. Gestito da:anglerscorner_uk. SE TI PIACE LA MIA ROBA MI AGGIUNGI AL TUOelenco dei preferiti! Importa Internazionale oneri / Doveri. Lightweight stool with integral cooler bag. 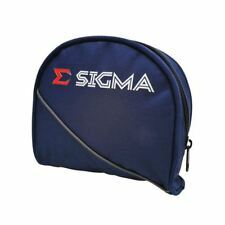 Sigma Pocket Bag. LIMIT AVAILABLE. 1 x outer pocket. 2 x internal pockets.